Doug Moen was appointed the Executive Director of the Johnson Shoyama Graduate School of Public Policy (JSGS) on December 21, 2018, after serving a six month term as Interim Executive Director. Doug initially joined the JSGS on November 1, 2016 as an Executive in Residence, and later became the Director of Executive Education (July 1, 2017). From June 1, 2009 to June 30, 2016, he served as Deputy Minister to the Premier of Saskatchewan. Prior to that, he served for 7 years as Deputy Minister of Justice and Deputy Attorney General in Saskatchewan. Doug graduated from the College of Law, University of Saskatchewan in 1979. He then articled and practiced with the Harradence, Longworth and Zatlyn law firm in Prince Albert, Saskatchewan. After spending two years working as Executive Assistant to the Honourable Ray Hnatyshyn at the House of Commons in Ottawa, Doug returned to Saskatchewan and started his career with the Saskatchewan Department of Justice in 1983 holding positions of increasing responsibility and accountability in the legislative services, and public law and policy areas. Doug served as President of the Uniform Law Conference of Canada, was a member of the Executive of the Canadian Bar Association - Saskatchewan Branch, was a board member of Information Services Corporation of Saskatchewan and was a commissioner with the Regina Crime Prevention Commission. He has been a member of the Boards of the Saskatchewan Trade and Export Partnership, the Saskatchewan Law Foundation, the Dean’s Advisory Council, College of Law at the University of Saskatchewan and the Saskatchewan Justice Institute at the University of Regina. 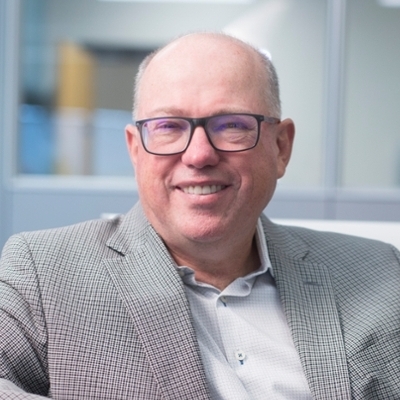 He is currently the Chair of the Global Transportation Hub, is a member and past Chair of the Board of the Phoenix Residential Society, is a member of the Board of the Health Quality Council, the Max Bell Foundation and the Canada West Foundation. He is also a member of the Saskatchewan Honours Advisory Council. In December, 2016, he served as a panel member of the Advisory Panel on Education Governance in Saskatchewan. Doug has a keen interest in Aboriginal and restorative justice and in community-based approaches to justice services. He was involved in the formation of the Community Justice Division in 1997, and worked to establish the Saskatchewan Commission on First Nations and Métis Peoples and Justice Reform. In February, 2009, Doug was a member of the Canadian Delegation to the United Nations in Geneva, Switzerland, when Canada's Human Rights Record was under review. Doug was appointed Queen's Counsel in 1995. He has received the IPAC Lieutenant Governor’s Gold Medal for Excellence in Public Administration (2010), the John Tait Award (2013), and the IPAC Vanier Medal (2018). The John Tait award is presented annually by the Canadian Bar Association to a public sector lawyer who demonstrates the highest standards of professional conduct and competence and has made significant contributions to social justice or community affairs, and who exemplifies preeminent public service. Presented annually by IPAC, the Vanier Medal is the organization's highest form of recognition for Canadian public administrators, and is awarded to a person who has made significant contributions to and has shown distinctive leadership in the fields of public administration and public service in Canada. Doug lives in Regina, but maintains strong connections to his family farm in southwest Saskatchewan. He is married and has a son and a daughter.